Uta (44) hosts Hamid, from Afghanistan, in a small studio apartment in Berlin Marzahn, a sprawling estate of high-rise blocks in east Berlin. Built in the late seventies and early eighties to provide modern housing to residents of the city’s older and (at the time) neglected central boroughs, the estate became characterised in the nineties by strong anti-migrant sentiment and support for far-right groups. Uta has two children of her own. 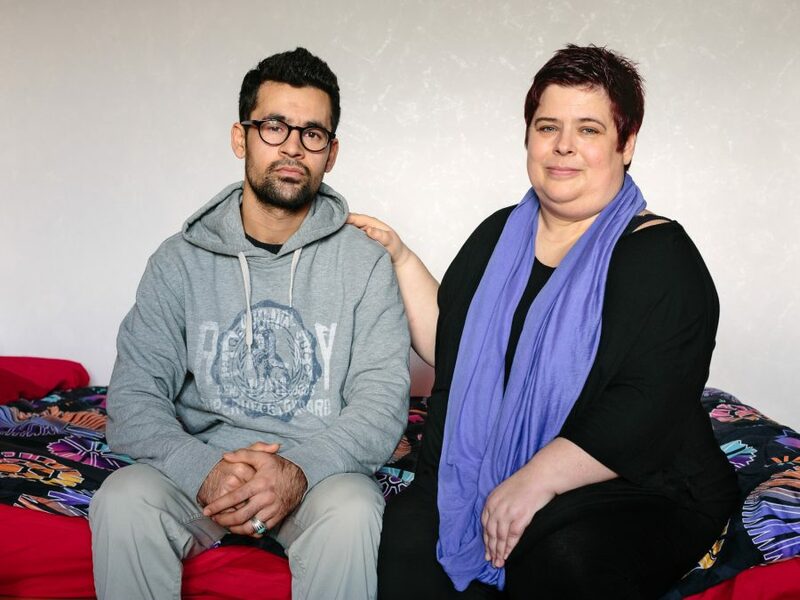 A son (17) who lives with her ex-husband and a daughter (22), who is studying in Hamburg. After being off work with ill-health for two years Uta returned to Berlin in the summer of 2015, to attend a physical rehab centre in Potsdam and live near her mother. She also started a new job at a home for young refugees run by the German Red Cross, where she met Hamid. They talked about music. He plays the flute and the piano and wants to learn more instruments. Uta plays the piano and the guitar. They had found a shared passion. I had to end friendships with people who didn’t accept what I was doing. Hamid goes to two different German classes most days. He loves to play football and on Wednesdays he plays with other young people and refugees at an integration project. A social worker at the project noticed Hamid’s helpful manner and was impressed by his communication with other new arrivals from Afghanistan. He helped Hamid to secure a place in the German government volunteering service. From February 2016 Hamid will work part-time at the integration project and have the chance to learn football coaching. “I really like to feel useful,” Hamid says.